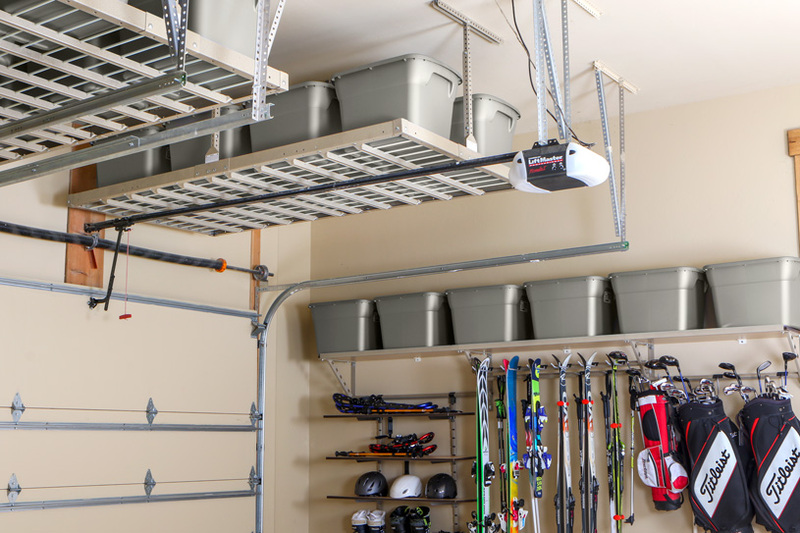 Create the most organized, clutter-free space with the help of the best overhead garage storage in Lansing. We are confident that you can store all of your belongings and free up space on your garage floor with our unique overhead storage. 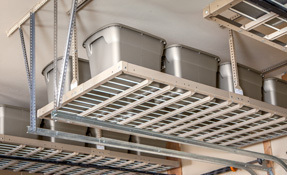 Our overhead storage provides an excellent way to store your belongings up and out of the way to create a cleaner look and maximize your space. 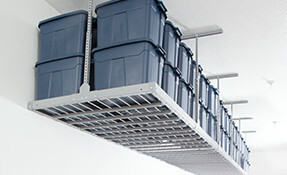 Overhead garage storage provides storage that is out of the way but at easy access when stored items are needed. 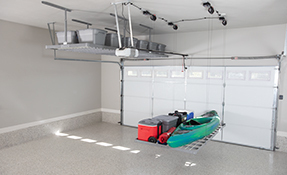 Garage storage lifts in Lansing are state-of-the-art racks that give you the durability of normal racks with the convenience of new motorized systems. You can get your new racks installed in as little as a few hours. Have you ever wanted to control your overhead racks to raise and lower at your every command? With our new motorized racks, you can do all of that through our Bluetooth technology! 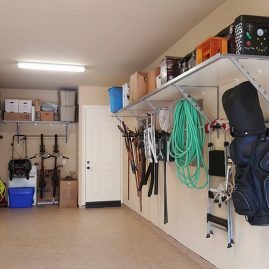 Make the most out of your storage space with the best overhead garage storage in Lansing. By utilizing unused overhead space, you’ll be happy to find how much space your garage or storage space has to offer. Affordable Solution: Most overhead garage storage in Lansing is costly and will set you back financially. Our storage racks are very affordable. Steel Construction: The racks are made of steel, which gives it durability and strength. You can be confident that these racks will hold your storage. 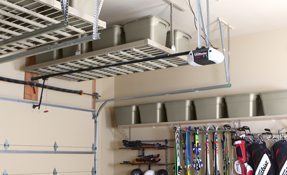 Versatile: Our overhead garage storage in Lansing is not just for the garage. Whether you need to organize your warehouse, office or garage, our systems are versatile enough to be used anywhere needed. Affordable: Many storage solutions are expensive, save your money by using the most affordable overhead garage storage in Lansing. 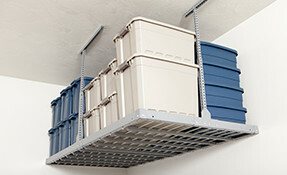 Weight Capacity: Our overhead storage can hold up to 750 pounds, so you have plenty of storage options. 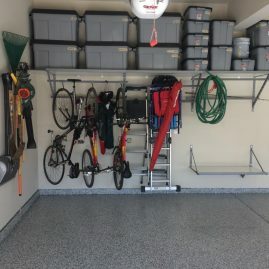 Quick Installation: Overhead racks are securely fastened into your garage creating a strong surface to store all of your items. Give us a call today to find out about the best overhead garage storage Lansing has to offer! Our products have been featured on a variety of home improvement shows like HGTV's Property Brothers and Extreme Makeover: Home Edition. Get those same products in your own home today, contact us for a free estimate!